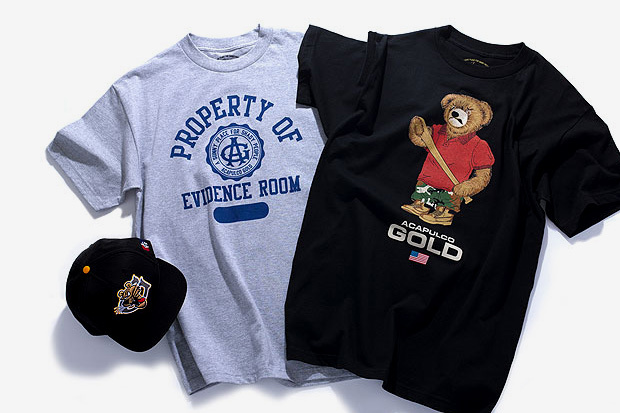 New York based brand Acapulco Gold have released their Summer 2011 designs and remain true to their form as a solid streetwear staple. 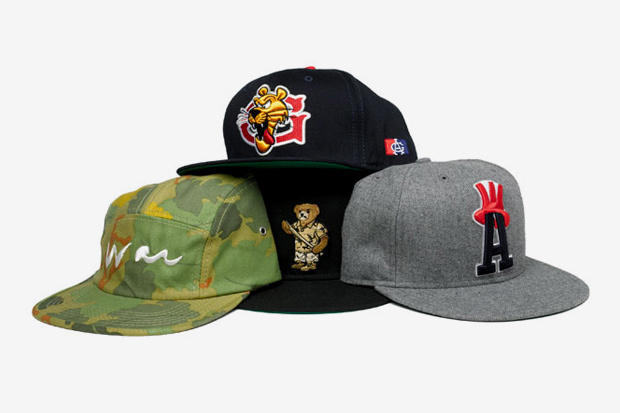 This drop features a plethora of different coloured caps, featuring panels, snapbacks and fitted takes on headwear, I think the ‘War’ 6 panel is my favourite, the typography is just legible enough to read and I feel the design with the green camo-esque canvas works well and draws attention though still remaining relatively muted. 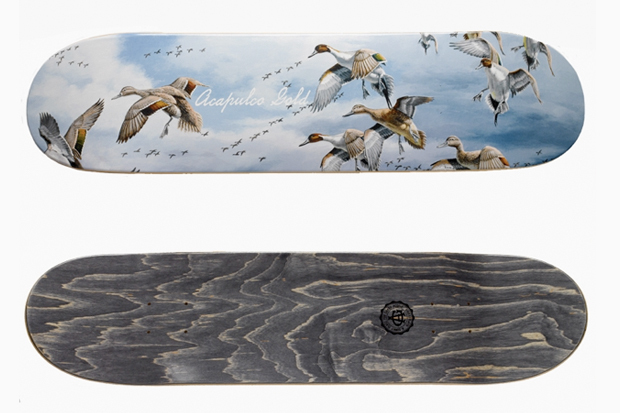 In addition to the caps, Acapulco have designed two decks entitled ‘Duck Hunt’ and ‘Have You Seen Him?’… I think it’s obvious which is which. The latter is sure to be a hit, with the newspaper style strap line and colour gradient from yellow to rouge making it pleasing on the eye, as well as relating to recent events. 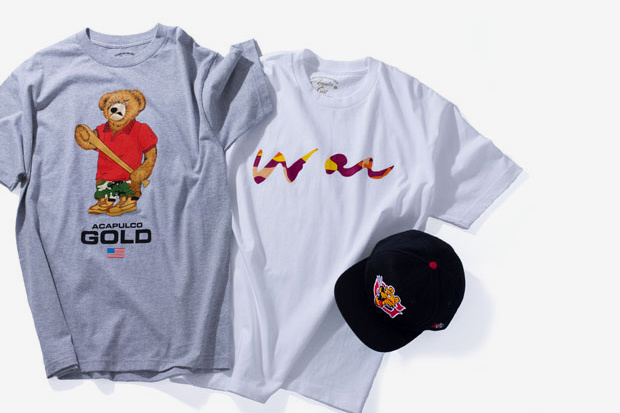 On the T-shirts, we see the signature ‘Teddy Bear’ with it’s antithetical baseball bat as well as a reprint of the ‘War’ design prior mentioned, in an equally awesome fusion of purple, brown and yellow, contrasting with its plain white background. The rest of the tees still carry a high standard, other than the grey Franklin Marshall style tee which seems alien compared to the rest of the collection. 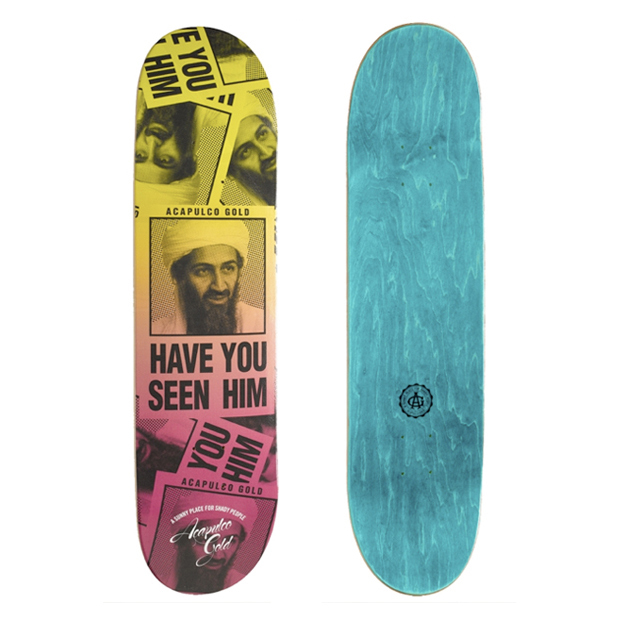 Select pieces are now available at Angry Daves.